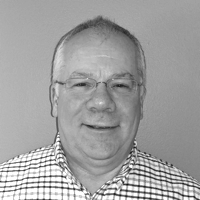 Dave has over 30 years of commercial architectural experience, and has been President of DPA since its incorporation in 1999. He has successfully completed over a thousand restaurant and retail projects throughout the U.S, assisting clients with freestanding new builds, shopping center fit-ups, and renovations for corporate and franchised locations. He provides a complete range of architectural and construction administration services, which are customized to fit each client’s needs. Dave’s expertise lies in his ability to build relationships with his clients and assemble successful teams to provide seamless guidance through the construction process, from prototype development to project completion. Prototype development, 11 franchised retail locations throughout the U.S.
New and renovated multi-unit rollouts throughout the U.S.
25+ retail locations throughout the U.S. Multiple corporate renovations throughout the U.S.